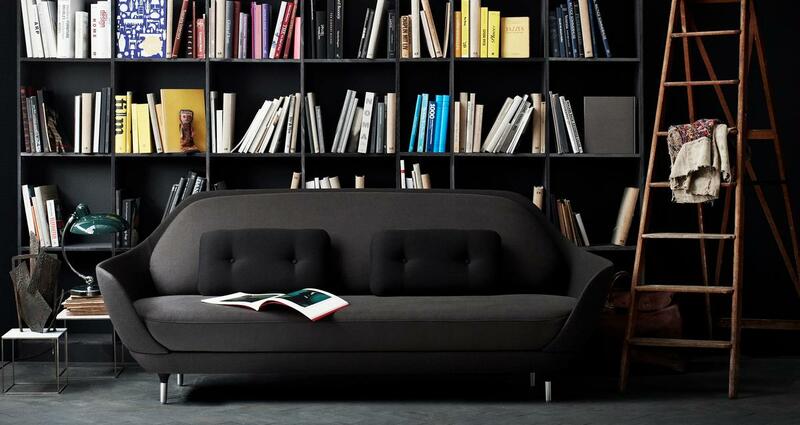 In the form familiar to us, with backrest and springs, the sofa was only developed in the 19th century. Previously there were sofas - the term is borrowed from the Arabic Suffa, which translates as a bank of tranquillity - albeit principally upholstered benches used as a chaise longue, divan or even as a daybed. Only since the 20th century have sofas been understood as seating; and consequently since the beginning of the twentieth century sofas have become synonymous with designers such as Le Corbusier whose simple LC 3 Sofa through Cassina helped lay the foundation for modern furniture design. However, even later designs such as the Vitra Freeform sofa from 1946, designed by Isamu Noguchi also renounce any frills and superfluous decorations, while also contradict the strict geometry of the LC3 sofa with its organically curved lines and flowing shapes. Recent designs by Ronan and Erwan Bouroullec such as the Vitra Alcove Sofa or the charming Can Sofa for HAY continue the idea of a simple design, yet set completely new standards in terms of functionality and comfort.